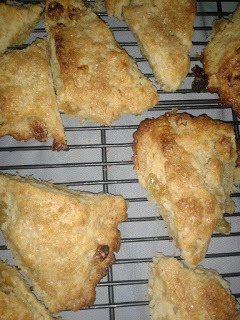 November, with the chill of autumn for our northern hemisphere bakers, seemed like a great time to tackle these delightful scones from Rose's book! Vicki and Elle omitted store-bought candied ginger from the recipe (Trader Joes informed Vicki that it contains lead, and Elle's offspring #1 doesn't care for overpowering ginger flavor). Both thought the method of whipping cream was a fantastic idea (one that Elle though even SHE couldn't mess up) to make delicate scones. 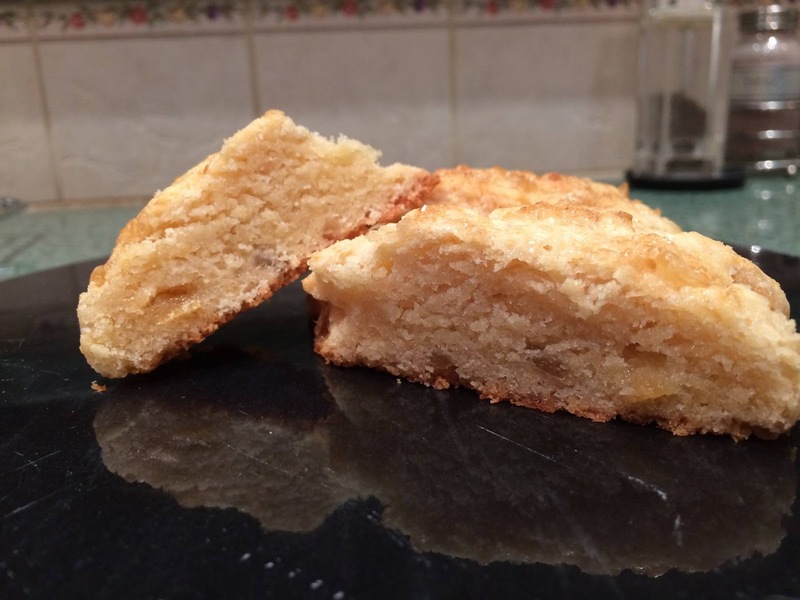 Laura used the last of her homemade candied ginger for these lovelies (Laura, share the recipe!) and they were so decadent it was hard to resist taking more than one for a treat. Jeniffer cut hers in circles, the traditional "British" shape and topped with preserves. They looked so lovely, as always! She also treated us with a neat tidbit about the history of candied ginger in Australia. Sheryl made hers as a contribution to Thanksgiving dinner. Unsurprisingly, they were a huge hit (especially with her uncle). Everyone loved the sweet and spicy combination. And Joyce summed up the scones perfectly. With a cup of tea! She decided to forgo whipping the cream but it didn't affect the fantastic results. Light but rich, creamy, and delicious. For December - with the holidays, it seemed like a lot to put on everyone to make the rye bread, so we've given January as a time to get caught up. If you've already made the rye bread, consider yourself ahead of the game! Look forward to baking with everyone in 2017! 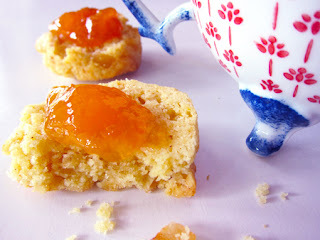 I could definitely go for one of these amazing ginger scones now! Every time I make one of Rose's scone recipes, I don't think they can get any better but they always do! Great Round Up!